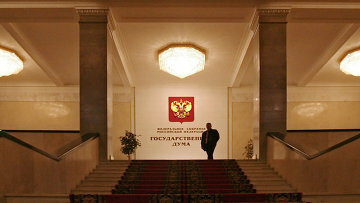 State Duma backs reform of Russian military courts | Russian Legal Information Agency (RAPSI). MOSCOW, October 18 (RAPSI) – The lower house of parliament has adopted in a final third reading several bills on reorganization of military courts in Russia, a statement of the State Duma official website reads. The draft laws have been submitted by Chairman of the State Duma Committee on state building and legislation Pavel Krasheninnikov. According to Krasheninnikov, the bills have been drafted to bring the military court system in line with a recently passed federal constitutional law establishing appeal and cassation courts of general jurisdiction, including military ones. One of the bills reads that military and navy courts are to be renamed in accordance with current military division as well as location and number of newly formed district directorates of Russia’s National Guard. The initiative also envisages establishment of a jurisdiction of new garrison military courts spreading it to territories with garrisons, military formations, agencies and institutions with military service. In another bill Krasheninnikov proposed to rename military courts to sort their powers as first instance courts for criminal cases, including ones on terrorism.